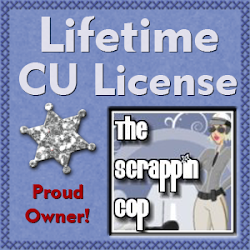 The Scrappin Cop: Well of Course they need a CU Barn!! Well of Course they need a CU Barn!! Well, once again I have to give a shout to my friend Exotic Mommy at Divilicous Designs for the update to my blog! Don't you love it? This is what it was supposed to look like when she designed the template for me last week but I couldn't get it to work and deleted my widgets and messed everything up! She went in and changed the code for me and worked her magic to make my blog look so professional! Thank you again sooo much for your time, talent, and patience with me! So very generous! 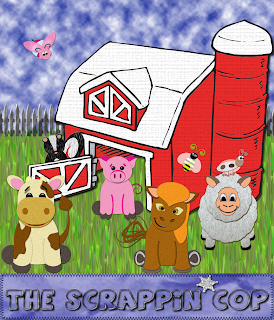 And now I would like to thank Lisa from EAL Designs for the great suggestion that the barnyard buddies need a barn. Well of course they do! So I have two different QP kits for you to house your animals. They both have the same barn but different backgrounds. 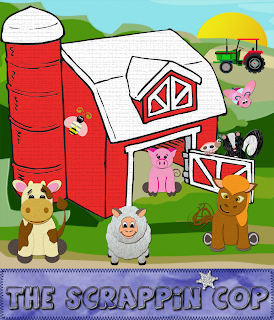 Included in the .zip is the QP in 12x12 (300dpi) .png format, and also the separate .pngs I used for the Quickpages so you can move them around if you like; so for instance you can place the animals behind the barn door like I did in the preview. The animals are not included in this .zip but all are available in the layered template kits. What do you think? It's not a traditional QP because there aren't any frames for pics but you can certainly cut out holes for photos if you like! Anyway, I took a bunch of pics today of more silk flowers and will hopefully get them extracted and up tomorrow. We leave for DH's softball tournament in the morning and he tells me there isn't internet access but I think he is LYING to discourage me from taking the laptop.... not a chance! LOL. So I do need to get to laundry so we have something to wear this weekend... TTFN! I love the animals and LOVE the barn, it's adorable! The perfect project for when my four year old wants to "help" when I scrapbook. He'll have to make a farm so we can email it to you. I played with your ladybug earlier today and made a non-traditional 'bug but she's cute. Keep up the cute ideas! (hint: Monkey) And I'll keep coming back for more! Awesome awesome qp's love the barn!! Love the new look of the blog looks great!! too cute, dd'll love it thanks. Laundry is one of my going away headaches - especially when dh puts something in the wash the day before we go expecting me to pack it. wow that barn is so cute..the perfect home!!!! !keep up the great work..love your stuff....TFS!!!!!! What a great barn! Thanks for all you little critters. My kiddo pages will be so much better with these little guys. Thanks again! Love the new look of your blog and the barn is fantastic as well as the rest of the kit. Thank you. 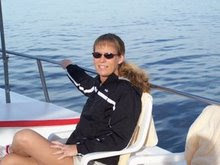 Deb, I just had to snag this one! The only thing I really collect with any regularity is barns! At one time I was "barngranny" online instead of artsygranny. I just love barns! Thank you soooooo much! Thank you!!!! Love the entire collection! Okay - that barn is adorable! Sooooo snagged! Wow - your talent and sharing is amazing! Thank you so much.And happy new year from Spain. Oh how much fun. And I see all of the little critters to go inside coming up. Thanks so much.